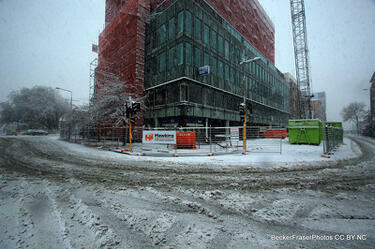 Photograph captioned by BeckerFraserPhotos, "The intersection of Colombo and Armagh Streets, looking north". 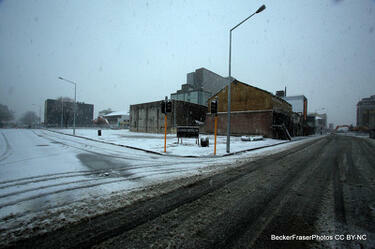 Photograph captioned by BeckerFraserPhotos, "The intersection of Colombo, Hereford and High Streets. 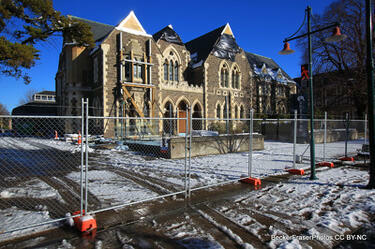 Looking north towards Cathedral Square". Photograph captioned by BeckerFraserPhotos, "The intersection of Colombo, Hereford and High Streets looking north-east". 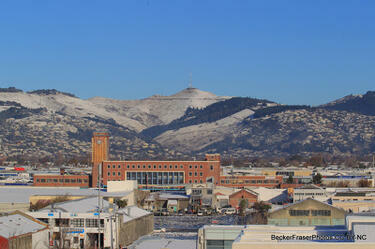 Photograph captioned by BeckerFraserPhotos, "Snow in the central city red zone. The intersection of Hereford and Manchester Streets, south-east view". 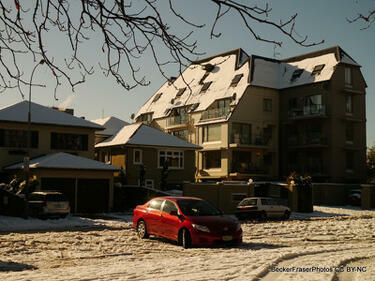 Photograph captioned by BeckerFraserPhotos, "Snow in the central city red zone. 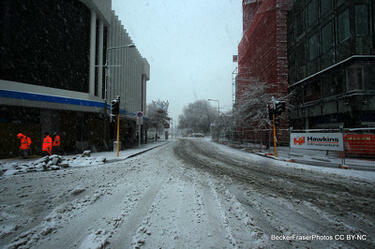 The intersection of Hereford and Manchester Streets, west view". 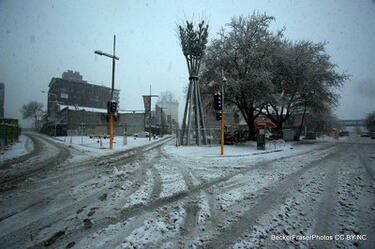 Photograph captioned by BeckerFraserPhotos, "Snow in the central city red zone. The intersection of Hereford and Manchester Streets, east vi". 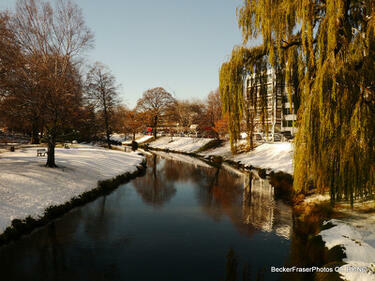 Photograph captioned by BeckerFraserPhotos, "Cambridge Terrace between Montreal Street and Rolleston Avenue". 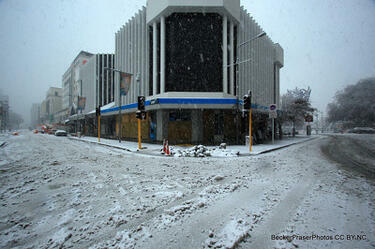 Photograph captioned by BeckerFraserPhotos, "The intersection of Colombo, Hereford and High Streets. 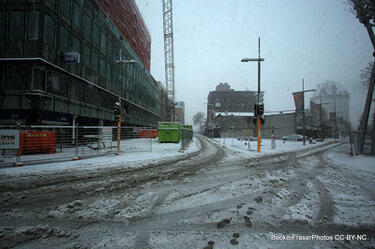 Looking west along Hereford Street towards the river". 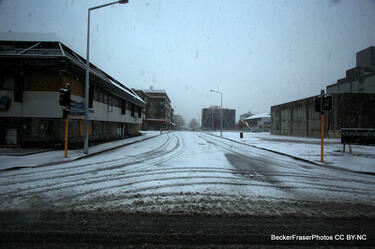 Photograph captioned by BeckerFraserPhotos, "The intersection of Colombo, Hereford and High Streets. 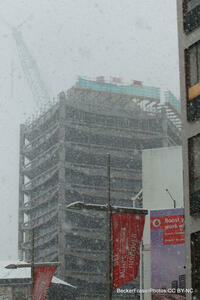 Looking east along Hereford Street". 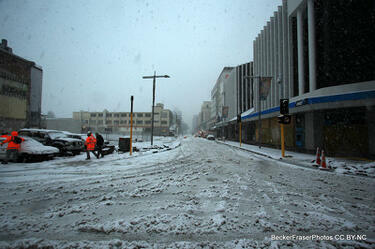 Photograph captioned by BeckerFraserPhotos, "The intersection of Colombo, Hereford and High Streets. Looking north-west". 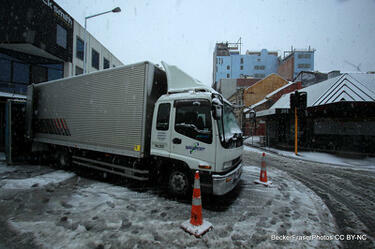 Photograph captioned by BeckerFraserPhotos, "The intersection of Colombo, Hereford and High Streets. 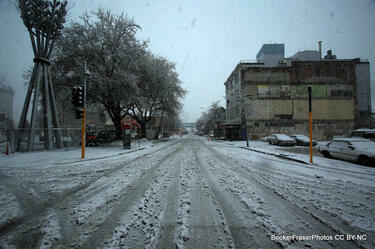 Looking south along Colombo Street". 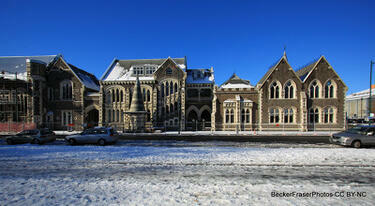 Photograph captioned by BeckerFraserPhotos, "The Arts Centre on Worcester Boulevard". 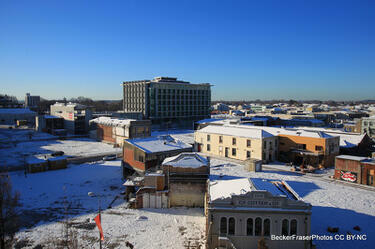 Photograph captioned by BeckerFraserPhotos, "A view from the roof of Alice in Videoland building". 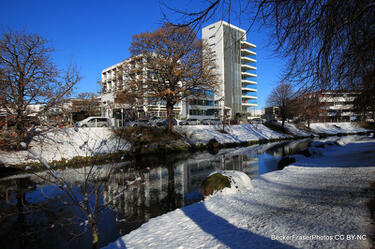 Photograph captioned by BeckerFraserPhotos, "The Arts Centre from the Botanic Gardens across Rolleston Avenue". 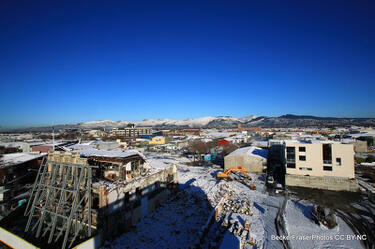 Photograph captioned by BeckerFraserPhotos, "View from the roof of Alice in Videoland building".